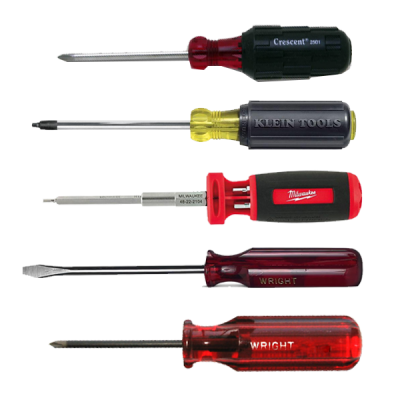 Wright screwdrivers can be ordered individually or in sets. Styles include Phillips, cabinet tip, round shank and square shank (all with or without cushion grips). We also offer handy 4-in-1 screwdrivers, as well as hollow-shaft nut drivers in standard and metric styles.